Up to 50,000 high-definition panoramic images of the reef will be taken by the world’s first tablet-operated underwater camera and geolocated. 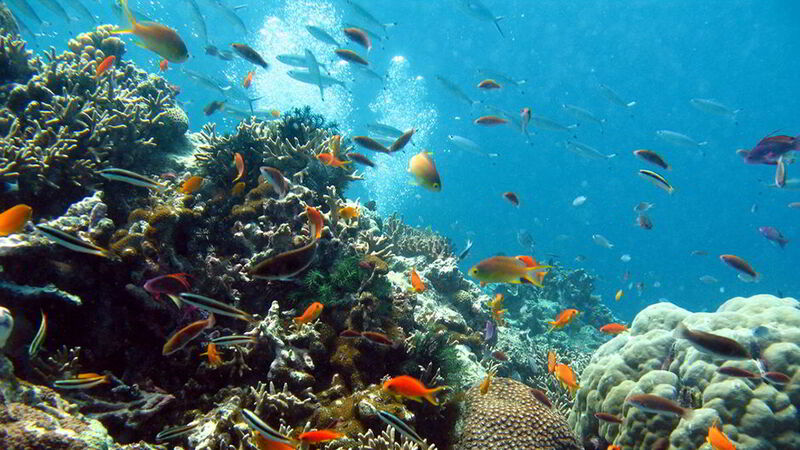 When the rapid-fire images are linked together, users will be able to choose a location along the reef, dip underwater and go for a viewer-controlled virtual dive using the street view feature of Google Maps. Dives already completed at three islands on the Great Barrier Reef, as well as sites in Hawaii and the Philippines, will be available today, with more images virtual dive sites added as the scientists map 20 separate reefs along the 2,300 km system to a depth of 100 m.
The three-month survey of the Australian reef system is the first in a series of Catlin Seaview surveys to explore and record the world’s coral reefs. Next year, the expedition will move on to Hawaii, the Philippines and Bermuda. Around 50 percent of the world’s coral reefs have been lost in the past 30 years to pollution, overfishing and climate change, which is increasing sea temperatures and elevating levels of ocean acidity. Coral reefs support the lives of millions of people worldwide and a quarter of the world’s marine species, and are an important indicator of the health of the seas. Shallow reef surveys will involve scientists using state-of-the-art digital technology to capture images of the reef that can be linked to create a virtual dive experience. Automated technologies for rapidly assessing the amount of amount of coral cover and other life forms will provide a “baseline” for understanding change. The cameras for the shallow reef survey, the SVII, have been specially designed to take 360-degree, geolocated panoramic images every 4-6 seconds while travelling at 4 kph. Scientists will use the deep survey to assess the potential for the deep reef to host “refugee” communities of species under stress because of bleaching and changes in the shallow reef due to climate change. “We want to make these special underwater locations as accessible to people as the roads and landmarks they explore in Google Maps each day,” said Jenifer Austin Foulkes, Google’s oceans manager. This article originally appeared on guardian.co.uk on 26 September 2012. Jessica Aldred is the environment production editor for the Guardian.